JoeZ's predator hunting rig chambered in .20 Bobcat. This is my 20Bobcat. I got alot of good mentoring from this board. Gun was put together by Kevin Weaver. The build had some problems but it was all worked out in the end. Bell and Carlson medalist stock. I did the bedding. Leupold rings and bases. Leaupold 4.5x14 tactical. Beartooth cover on the stock to keep calls from banging on it. Possed with a nice Texas coyote. 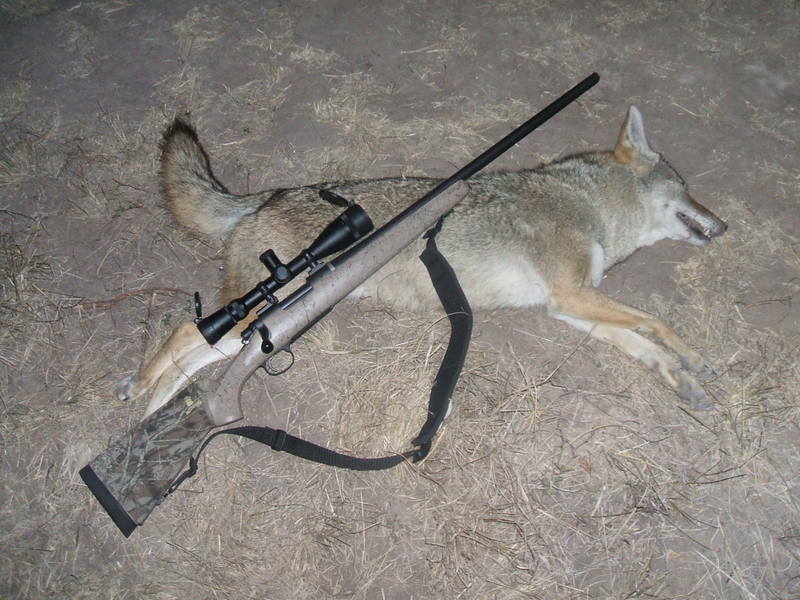 1st 20cal, 1st coyote.